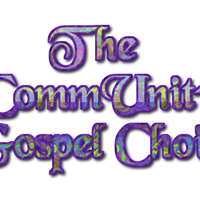 The CommUnity Gospel Choir’s Spring Term starts on Tuesday 15th January 2019 at 7.15pm and will be held every Tuesday for a 10 week term. Your initial session is FREE for anyone singing with us for the first time. So book a Free 'ticket' for your first session. If you like us and decide to come regularly, the cost thereafter is £5 (£3) per week. Held at the Wesleyan Christian Centre, 1 Harrow Green, Leytonstone, E11 3HP. All are welcome to join, absolutely no experience needed, just come along and sing great gospel music! Message for enquiries.